Chemical sensitivity is common in benzo withdrawal. Without enough working GABA receptors, our central nervous systems can be highjacked very quickly. I remember walking through Home Depot when I was early off of Klonopin. When I walked down the fertilizer and weed control aisle, I felt as if I was going to pass out. My dizziness ramped up. My legs grew weaker and my head pressure felt like someone had pumped my brain full of helium. Even my derealization got worse. It took hours of sitting outside in the fresh air for my increased symptoms to calm down. I also had problems when I was exposed to new plastic, latex paint, cigarette smoke, or air fresheners. One night I stayed at my daughter’s house. I crawled into bed, very tired, but instead of falling asleep, I began to tingle all over like I had been plugged into an electrical socket. My head felt like it would explode from the internal pressure. My skin began to burn. Pain coursed through my body. My muscles twitched. Near the bed was a plugin Glade air freshener. I unplugged it and crossed my fingers that my symptoms would calm down. I did fall asleep eventually, but it wasn’t a pleasant night. If you suffer from chemical sensitivity in benzo withdrawal, you can do a few things to protect yourself from an upsurge in withdrawal symptoms. You can knowingly avoid triggers. Stay away from the aisles in stores where fertilizers, weed control, insecticides, air fresheners, detergents, and other products containing chemicals or perfumes are stocked. Avoid using chemicals for cleaning in your home. You can make a DIY cleaner out of vinegar. (Google the ingredients and instructions.) 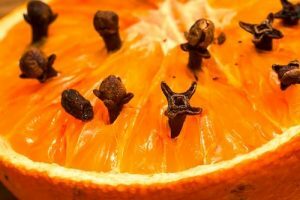 You can make a natural air freshener out of a half of an orange with whole cloves. Ditch perfumes, colognes, and hair care products that trigger you. Avoid perfumed laundry detergent and fabric softener sheets for the dryer.You may even need to avoid natural incense, too. Wear gloves (avoid latex ones if you can) when you clean. You can keep a list of the things that rev up your symptoms so that you know what to avoid in the future. If you do experience an increase in withdrawal symptoms from being exposed to chemicals, you can leave the area that is offensive and go out and get some fresh air. If you need to, remove your clothing and change into clean clothes. Drink plenty of water, and eat a snack or a light meal to ground yourself if you feel dizzy or lightheaded. Since we are on the topic of triggers, remember that vibration also can cause an increase in benzo withdrawal symptoms. Vacuuming, for instance, can cause an uptick in symptoms for some people. Swinging, rocking, spinning in a circle, etc., might make us feel worse, too. Don’t allow yourself to believe any negative thoughts that want to creep into your mind about your increased symptoms when you’ve been triggered. They won’t last forever. Nor will you won’t have to avoid so many things in the future. Remind yourself that this is not the old you or the new you. This is just you in benzo withdrawal. You will heal in time. I can now walk down all the aisles at Home Depot without any trouble. I still limit my exposure to chemicals, however, just to be on the safe side, and to give my central nervous system a break. I do my best to treat my body with the utmost of respect. It’s all about taking good care of oneself. The lessons we learn about self-care in benzo withdrawal will serve us the rest of our lives. Thank you Jennifer for this post. Sights and smells are so exaggerated and overwhelming in this state. Also, I had two bad cold/flu virus this year. I thought I would die. All symptoms increased ten fold. I, too, have learned to relax and float into the fear and increased symptoms as best I can. It can take hours to recede after an exposure to a chemical or upsetting situation, but it helps not to fight it. Thanks again for another informative post. Great post yet again, you really keep me going on my quest to get through w/d. Funnily enough, the smell of my husbands deodorant, sends me into the stratosphere. No fun what so ever. My BWS symptoms so far have not included sensitivity to various oders… I am however very sensitive to movement around me, noise, light, touch. It is like I am overly energized, hypersensitive.. CNS in overdrive ! Having read most of your blogs posted, it is very interesting to read how some have issues where others don’t . I have had chemical sensitivities for years, and it’s so frustrating! It all makes so much sense. Thanks for posting, Jennifer.